Print books are available on order from the author. -inspiring and encouraging believers in Jesus in their daily Christian walk as well as those interested in the Christian faith. There are diverse categories of poems about a believer’s testimonial of redemption and surrender to God with some presented as “Redemption Storytelling” using fictitious characters, often dramatised with the intent of conveying the power of salvation to transform lives. There are poems about the general Christian walk and morality. Some are intended clearly to motivate, encourage or uplift and give prophetic counsel. 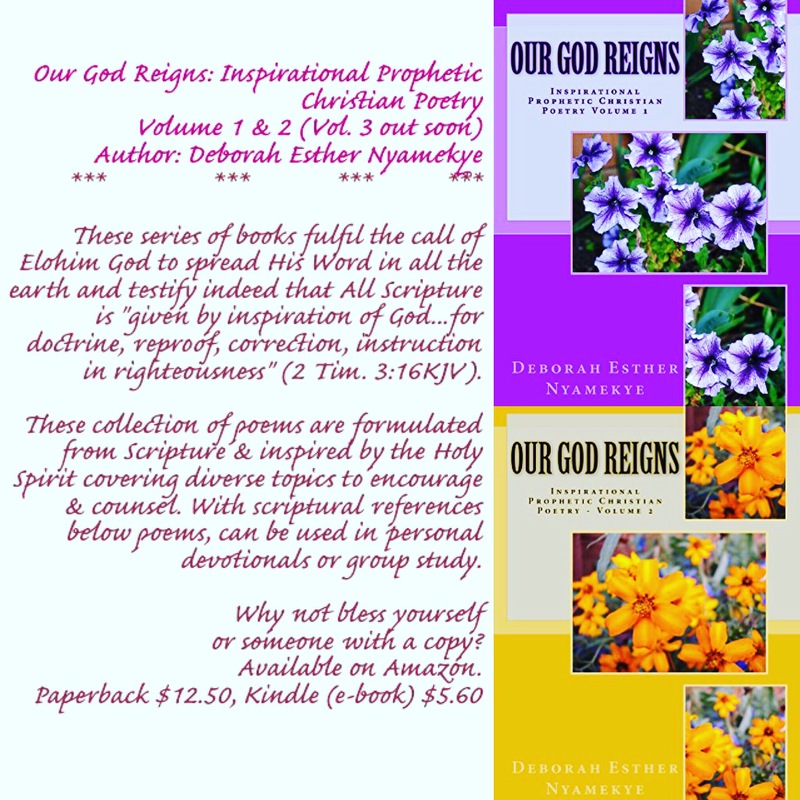 The Author/Poet has also been inspired by God to write poems that are in themselves prophetic encouragement and speak of God’s control over the believers’ identity, destiny and purpose as well as His promises, provision and blessing. 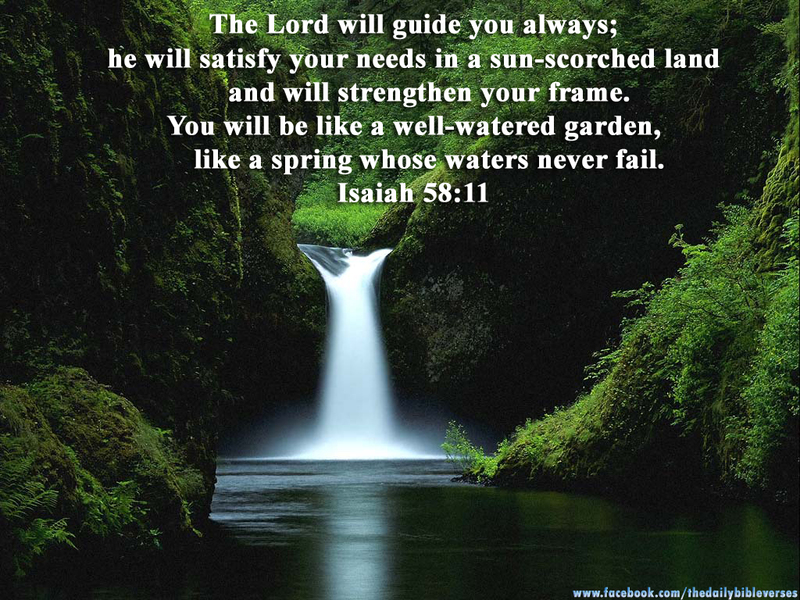 At times quotes from scripture either make up part of the poems or are referenced below the poems as key scriptures which inspired the poem in question. 1.God, Jesus Christ and The Holy Spirit. 2.The Kingdom of God and the Soon Coming. -God’s Control over One’s Identity, Destiny & Purpose. This book is an easy to read, concise bible study, bible meditation & devotional all rolled in one!! for new or mature Christians & those searching for the meaning of life. Do you know anyone who could benefit from this book? It can be given as a gift, used in discipleship/training & small group or cell meetings or for personal use. It is rich in basic or fundamental Christian truths and facts i.e the deity of Jesus, types of disciples he seeks & those who qualify to be his friends. Such information is drawn from His I Am sayings & other conversations. A message that is vital in this final hour before Jesus’ return. How about a book that is a bible study, meditation and devotional all rolled in one? This book will not disappoint !! Whether it is for you, a friend a new or mature Christian. Do you know someone you would like to introduce Jesus to? This book is what you have been looking for ! 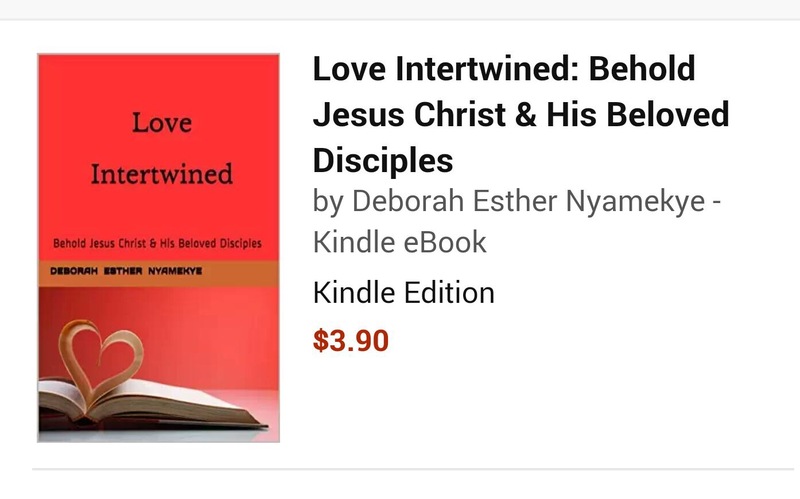 “Love Intertwined” is a book for Christians, students of the bible, and those seeking the meaning of life. 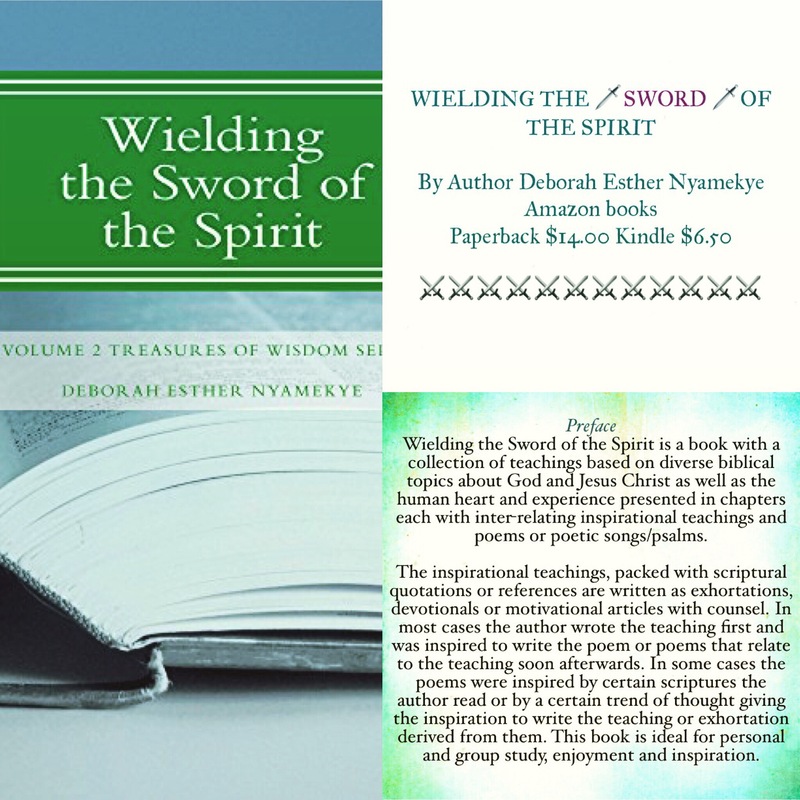 It serves as a bible study, meditation and devotional manual. -To help the reader or student to better understand the character and mission of Jesus Christ, the Messiah as presented in the New Testament and particularly the Gospel of John, the Apostle. -The book gives a detailed revelation of the relationship between Father God and the Lord Jesus first and foremost and how this relationship impacts the disciples of Jesus and their relationship with him. The part of Holy Spirit plays in these relationships is also explored in detail. -It helps the Christian know how they can live a fruitful Christian life in true intimacy with God the Father through the Lord Jesus Christ in the power of the Holy Spirit. With this focus on the centrality of Christ in their Christian walk, the believer in Christ is able to live a victorious Christian life. 1) It is for the purpose of aiding Christians or those interested in the Christian faith to easily understand basic truths, doctrines and principles of the Christian faith as they read and study the New Testament, particularly the Gospels. 2) To serve as an aid to the disciple of Jesus in grouping together similar themes or topics about Jesus and his ministry gleaned from the book of John. It is then possible to cross reference these with similar themes from other biblical books, thus enabling one to easily perceive and understand the central message across chapters and verses. To this end, the book serves as an aid to Personal and Group Bible Study and Meditation. 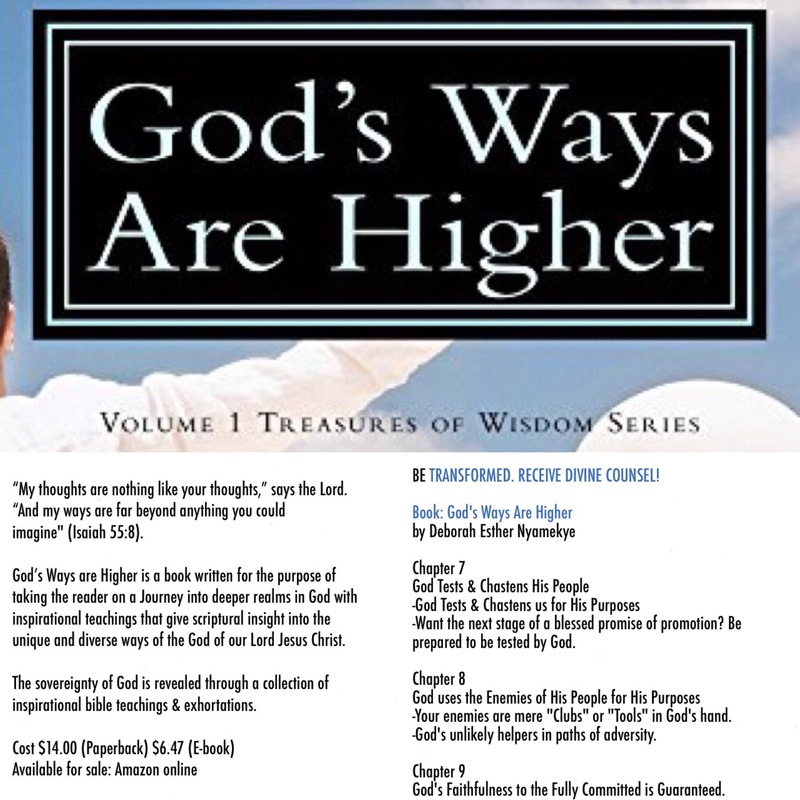 -To enlighten the reader to the wisdom, understanding and counsel that can be derived from God while studying the scriptures. either a Discourse, Encouragement or Word of Counsel derived from the chapter.